Are you looking for a local expert to help you with your fencing installation in Darien, CT? You should get in touch with us at (203) 580-1066. 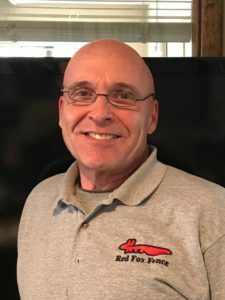 At Red Fox Fence, we specialize in meeting both the residential and commercial fencing needs of homeowners and the business community in Darien, CT.
Red Fox Fence is the leading Darien CT fence company. We are always ready to offer advice on the various fencing options available for both residential and commercial properties. We work closely with you to create the perfect design for a fence that adds to your home’s beauty, plus ample privacy and security. Additionally, our world-class services also provide swinging and sliding drive-way gates. Since 2006, we have continued to install high-end fences with customs designs that complement our clients’ existing household landscape. With every project, our team uses materials of only the highest quality to ensure the reliability and longevity of the fences that we install. We also work with you on every step of your project so that your vision and requirements are executed to perfection. Different types of fences fulfill different purposes. For many pool owners, a pool fence would be necessary to ensure pool safety for pets, toddlers, and stray wildlife. As a parent, you cannot be everywhere at once, and that’s where a pool fence can be very helpful. We can offer you the appropriate and reliable fence solution to secure your property. With our design team, you are assured that we will deliver you beautiful fencing solutions that fit into your home’s aesthetic appeal. It’s about time security looked good, right? Because we are the leading Darien CT fence company, you can rest assured that Red Fox Fence will get the job done right for you. As an experienced fencing contractor, we know how to complete your job the right way, the first time. There is nothing we cannot handle, be it driveway gates, swimming pool fences, chain link fencing, garden structures and everything in-between. All you need to do is call us today at (203) 580-1066. In the beginning of any project, we always provide you with a free estimate on your project. This helps you avoid any nasty surprises after work begins. Darien is another of Connecticut’s wealthy suburbs and New York is only 37 miles south. The short distance makes it an easy commute for those that work in the city. Darien is connected to Manhattan by two railway stations, Darien Station and Noroton Heights. These two connect with Grand Central Terminal to make the commute to New York fast and easy. Occupying 13 square miles makes Darien the smallest of Connecticut’s Gold Coast cities. The town is mostly residential with only a few office buildings present. It, also, boasts 11 parks and public beaches for the perfect family outing. A hunt club, yacht club, and three different country golf clubs await you, however, if you are more into exclusive recreational activities.